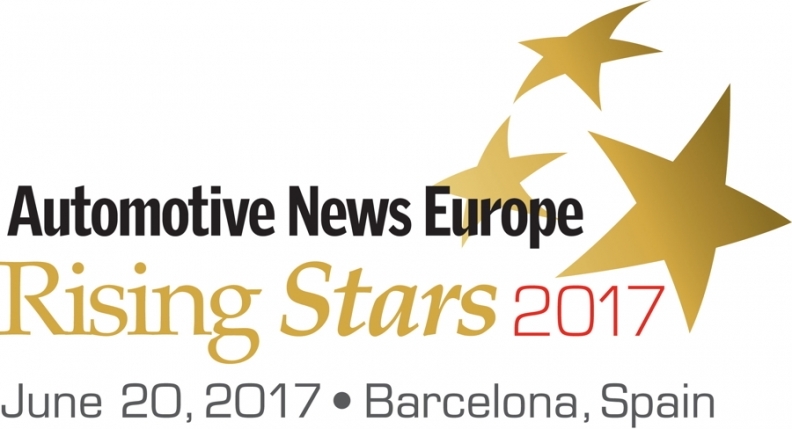 Automotive News Europe needs your help to find the Rising Stars in the European automotive industry. Entering its seventh year, the Automotive News Europe Rising Star award honors automotive executives with a pan-European profile who have driven change, fostered innovation and made courageous decisions. To qualify, candidates should have a minimum of 10 years of work experience, have multiple language skills and be 45 years or younger as of Jan. 1, 2017. We accept nominations from automakers, suppliers, automotive service providers and retail/aftersales businesses. A candidate may nominate him/herself or be nominated by a colleague, manager or mentor. Just visit our website -- www.autonewseurope.com/nominate2017 -- or click here. You may nominate more than one candidate. The deadline for nominations is Friday, Jan. 13, 2017. Any nominations received after this date will be considered for the 2018 award. The 2017 winners will be honored on June 20, 2017, during a gala dinner in Barcelona, Spain. The Rising Stars are possible thanks to our lead sponsor, PwC.